The new fork of ccMiner by tsiv with support for the CryptoNight algorithm used by coins such as Monero (XMR) (source) has been updated to provide better performance – up to about 18% increase on GTX 750 Ti according to the author. 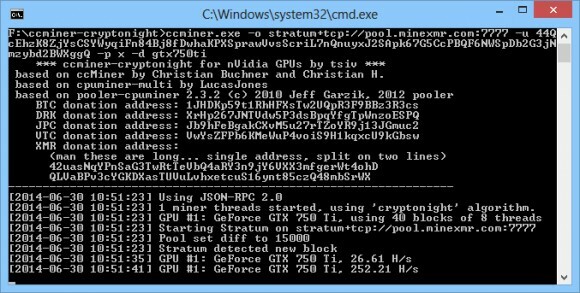 Our tests have shown that on a GeForce GTX 750 Ti video card we are getting about 250 H/s in terms of hashrate, so definitely good improvement over the previous release. 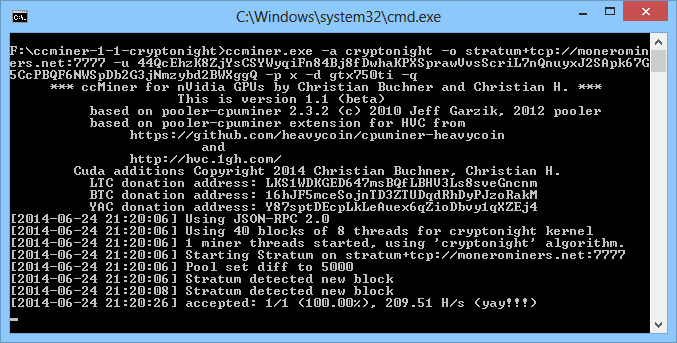 If you are mining CryptoNight coins such as Monero on Nvidia GPUs, then you should consider upgrading the miner software to the new version to get higher hashrate.